Scotland coach Vern Cotter has given former captain Kelly Brown and other high-profile absentees from his latest squad some hope of a recall. Fellow Saracens forward Jim Hamilton was also left out of the 33-man party for autumn Tests against Argentina, New Zealand and Tonga. "The only thing we can say is be prepared when there is an injury or something happens," said Cotter. "And that they make the most of getting the call again." "It is really tough for Kelly and for Jim Hamilton, Max Evans, Peter Horne - there are a number of players that haven't made the squad and we commiserate with them." Despite Pro12 leaders Glasgow Warriors contributing 17 players to the squad, veteran lock Al Kellock is another former Scotland captain to miss out, as does 25-year-old full-back Peter Horne. Castres wing Max Evans will miss the chance to add to his 44 caps with Cotter leaving out several players over the age of 30 as he prepares for next year's World Cup with a greater emphasis on youth. "It is really tough for Kelly and for Jim Hamilton, Max Evans, Peter Horne - there are a number of players that haven't made the squad and we commiserate with them," the New Zealander told BBC Scotland. "It is tough as they are very passionate about playing for Scotland. "There's been some strong performances from a number of players that have made selections hard." 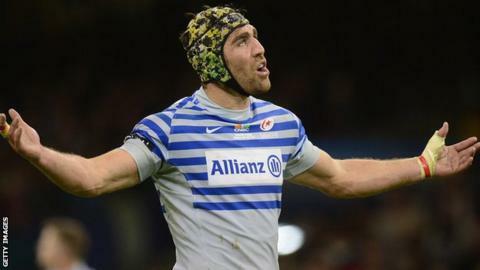 Brown was omitted from the Scotland squad, then under the charge of director of rugby Scott Johnson, ahead of last season's Six Nations championship before being recalled for the match against France. Johnson, who had been liaising closely with Cotter before his arrival from Clermont Auvergne this summer, had earlier told Brown that he would be his captain - as long as he was first choice at number seven as he was no longer being considered on the other flank or at number eight. Now with Cotter in full charge, Edinburgh lock Grant Gilchrist, who has only been capped eight times, has emerged as squad skipper at the age of 24. "If you look at Rob Harley, Rob's played really well for Glasgow, he's part of a winning, loose-forward combination," explained the coach when asked about his latest forward choices. "He's playing very well and the standards are being set high and I think that's good, especially in the loose forwards. "Kelly and others, Jim and company, need to be working hard and they will, because they are competitors. "They love what they are doing, they love playing for Scotland. "If the occasion arises and we need them, they will come in and make selections difficult."